On June 30, 2016, IowaView staff hosted a mapping workshop as part of the annual Iowa 4-H State Conference. There were 7 students in attendance. The workshop included an introduction to GIS/remote sensing, a summary of a current GIS Facility project, and two hands-on mapping projects in George, Iowa and Mount Singabung, Indonesia. 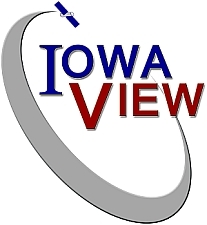 For various mapping workshops, IowaView has been adopting small towns (Leon, Ogden) across Iowa to continue adding to and filling in the Open Street Map basemap for Iowa. 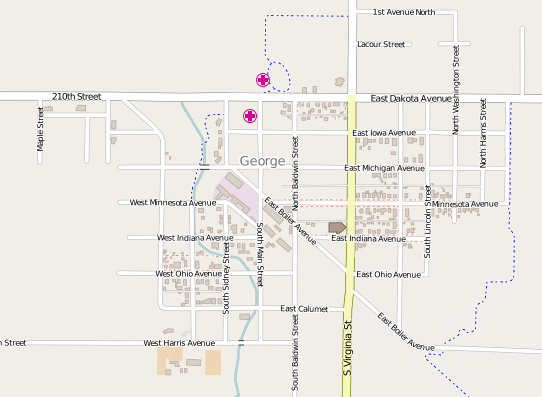 George, Iowa is a small town with a population of 1,055 located in Lyon County in northwest Iowa. IowaView choose to focus our second project on Mount Singabung, Indonesia which was identified as a top priority by the United States Geological Survey – Volcano Disaster Assistance Program. Sinabung is an active stratovolcano that has had consistent activity since 2010. The volcano poses a significant risk to those living in close proximity. Recent activity includes eruptions in 2010, 2013, 2014. The latest eruption occurred May 2016, killing 7 Indonesians. The group made over 2,500 edits during the workshop. 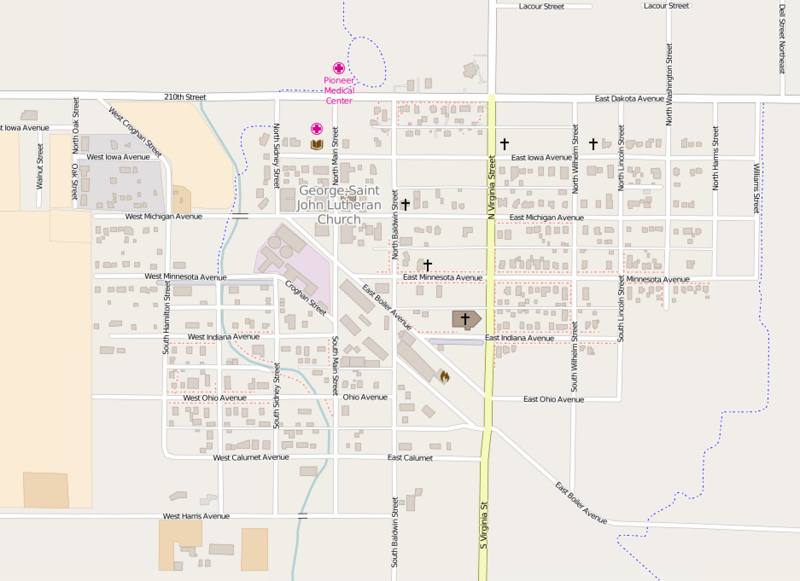 Below are before and after screen shots of George, Iowa.